Your hands get numb, your neck and back hurt, and/or you can't find a comfortable saddle. Other riders pass you effortlessly. You eat and sleep well, but you fatigue quickly on the bike. You're going on a multi-day bike tour in the Dolomites. Confidence: you want to improve your climbing, descending, sprinting. Your friends tell you that pain is a normal part of cycling: toughen up and deal with it. Basketball/running/tennis messed up your knees. You want to prevent further injury. You're a competitive cyclist trying to find a few extra watts. Five years post-op with a knee/hip replacement, you're getting back into riding. But your bike doesn't fit you anymore. You want to do a triathlon or Ironman, but just looking at a TT bike makes you wince. Life is short. Don't ride in pain. Some people are able to ride a stock bicycle, straight out of the box. Most people need a few adjustments to that stock bicycle. Others still will need a custom bicycle, like a tailored suit, made especially for them. We tailor your bicycle to your body to make you happy and comfortable on the bike for the desired length of time. However, if your frame is the wrong size, we won’t mince words. Riding exerts a stress on your body. Since your position on the bike is pretty stable during a ride, you’re effectively subjecting a few joints to repetitive stress injuries. Any improperly engaged muscles are improperly cycling 70-90x a minute without a chance for reprieve. 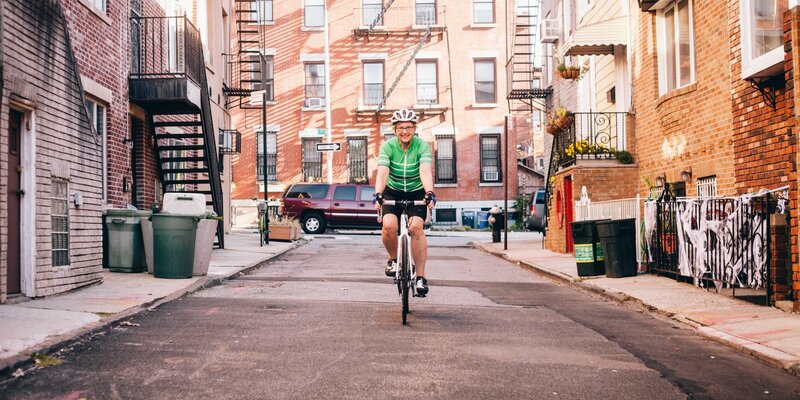 Our goal is to prevent future injury, and to help you meet your cycling goals. 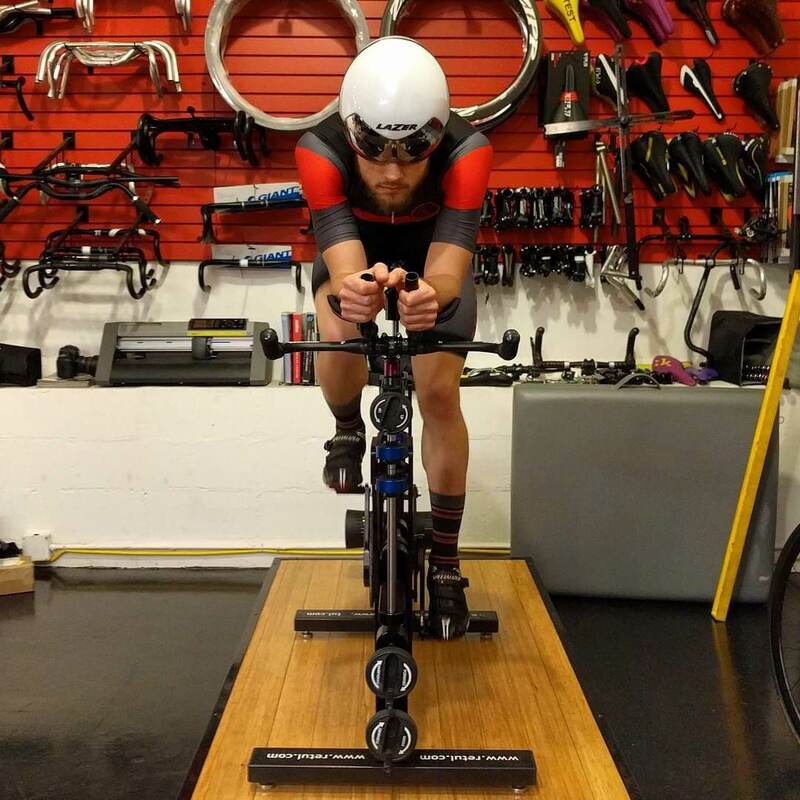 What's In A Bike Fit? We begin by chatting about your riding history and your goals. Next we discuss your relevant medical/injury history. Then it's off to the feet, ankles, knees, hips, pelvis. We look at your range of motion, anything that may impede it, and take notes for posterity. Now it’s time to get on the Retul fit bike. You’re pedaling and I’m observing: balancing what we saw and recorded earlier, your pre-existing complaints, and the reality of you on the bike. Depending on the rider and needs, we’ll either deploy the 3D tracking, or we’ll skip it. Sometimes, the changes we make are so drastic, that it doesn't make sense (yet) to dive into the fine details. I record your current ideal position, and assess your existing bike for compliance. Usually I'll ask you to leave your bike at the shop for a day or two so we can make the necessary adjustments. We may change your bars, stem, saddle, seat post, and/or pedals. In some cases I'll make the changes right there during the fitting. If you're getting a new bike, that process starts during the bike fitting. We'll discuss hopes, dreams and possibilities, send you out on some test rides, and ultimately put together a build for you. Do some people need a custom frame? Absolutely. Imagine your bike’s three points of contact (bars, seat, pedals). Pedals stay fairly fixed, the seat has a decent range of adjustments via the seat post. But the handlebars can only move within a “strike zone” about 5 cm x 5 cm...so any stock frame has limitations. 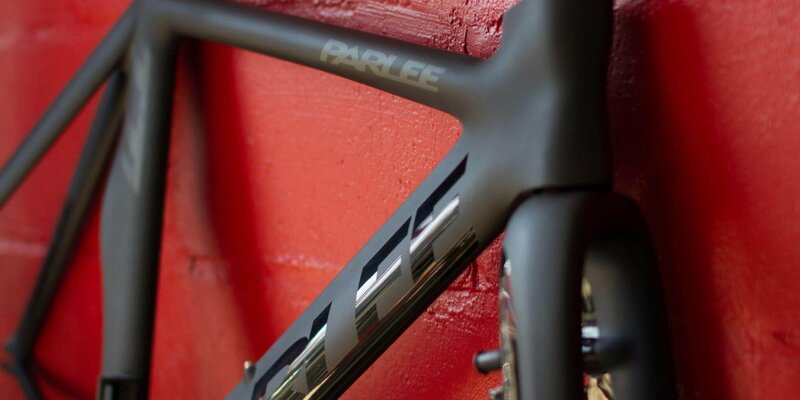 For custom frames, we work with Parlee, Mosaic, Seven, and Gunnar. Why do so many fittings result in a high stem and an upright relaxed geometry???!! If you’re 28-35 years old, in good physical condition, and with average proportions, and you're riding a bike meant, designed, produced and marketed to someone just like you, then of course you’re comfy. What about your riding buddy? He works 70 hours a week, never has time to stretch, his legs are slightly longer than average for his height. His seat needs to be higher for the longer legs, but now his T-Rex arms can’t reach the handlebars. Guess which rider will be comfy, and which rider will seek out a fitting? Those without issues seldom seek solutions. As your body gets used to the new position, and as you start doing some stretches, the fit will migrate (very predictably). We suggest you visit us for a follow-up once you've road-tested the new position, so we can make tweaks based on that feedback. Ironman tri fittings are interesting, a separate animal. Triathlon fittings are, by their nature, race fittings. We have hard parameters and easily measured success. And after you’ve ridden 112 miles at race pace, you now have to run a marathon. The goal of a good tri fit is to make you maximally efficient during your ride, making you aerodynamic without compromising your power output, and without burning out your running muscles. Oh yeah, you’ll be there for 5-8 hours, so we have to make sure you can actually stay tucked for that long. How’s your breathing? Is your knee tracking well? Can you negotiate a turn? Are you going to be able to walk tomorrow? How much does a bike fitting cost? Free with purchase of bike/frame over $3500, or any custom frame. 50% off, with purchase of bike/frame for $2000-$3500. Only for those who have had a full fitting at Redbeard Bikes or another qualified fit studio (ACME, Fit Werx, Signature Cycles) in the past 18 months. I'm having a frame built by Vanilla / Horse / Topaz frame builder. They asked that I provide them with my fit numbers. What should I do? We're happy to do a fitting and provide fit numbers to your frame builder. If you're purchasing only a frame, we can build up the bike for you. Please contact us for a quote. What kind of formal training do you have? Ilya Nikhamin is the founder and fitter of Redbeard Bikes. He trained at the Serotta International Cycling Institute and at Specialized's Body Geometry (BG) Fit program. He has been fitting cyclists since 2010.